It’s so hard to believe that it has been nearly a year since my last blog post. Well, my last post to my blog, that is. Despite my efforts to discipline myself with a serial kind of post to share good things that are happening around us, I got caught up instead in helping others get their own blogs up and going. 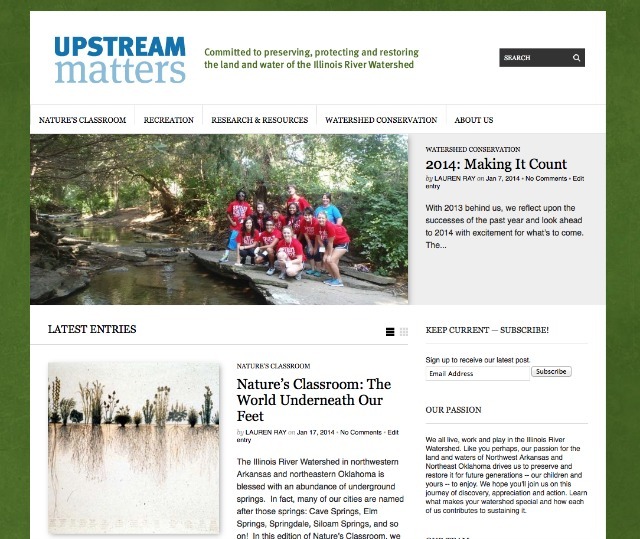 The blog I’ve been most involved with is called “Upstream Matters”. 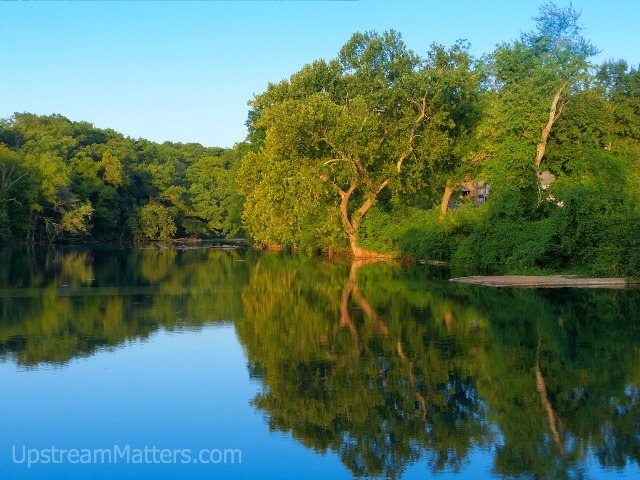 It is a blog for connecting the residents of the Illinois River Watershed, and sharing ways to cherish our rivers, lakes and streams and to protect and restore them for future generations. One of the most amazing projects that they are undertaking is to create a preserve-like area on thirty plus acres. 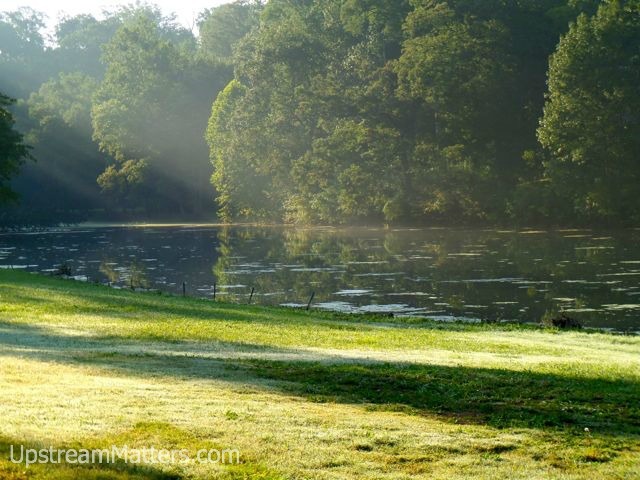 With its 6 acre lake, fresh springs, and natural woodlands, they can build a microcosm of sorts to help educate people about watershed management. I had the opportunity to write a post for them this fall about this very special place… I’d like to share it here, so it can be a part of my history as well. 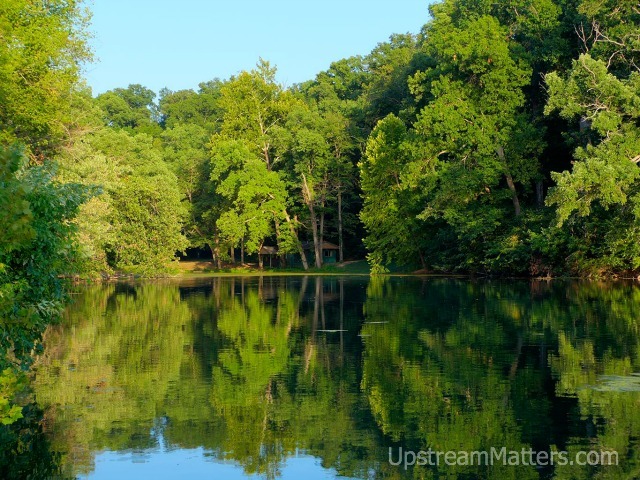 Tucked away in the urban headwaters of the Illinois River Watershed in the middle of Cave Springs, Arkansas is a six-acre lake, nestled in 24 acres of woods and fed by a fresh spring. Today, most people know the Lake at Cave Springs only from the glimpse through a chain link fence that they drive past on their morning commute, or in their rush to the airport. But there is much more to the lake than the partial view from Highway 112 can reveal. 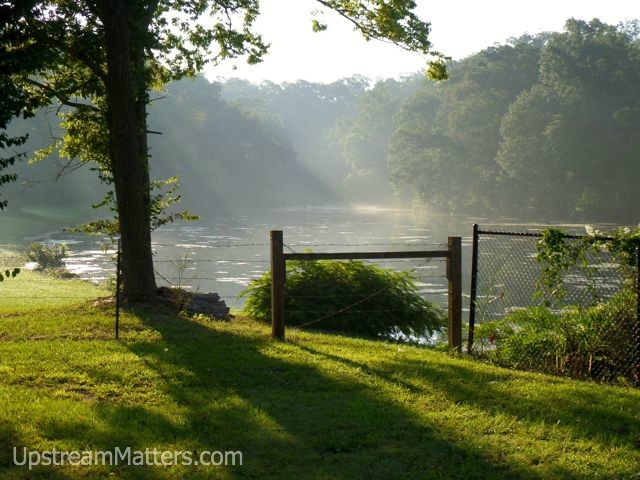 The Lake at Cave Springs has both a rich history and an inspired future. The Lake at Cave Springs held an important place in the history of this community and region. 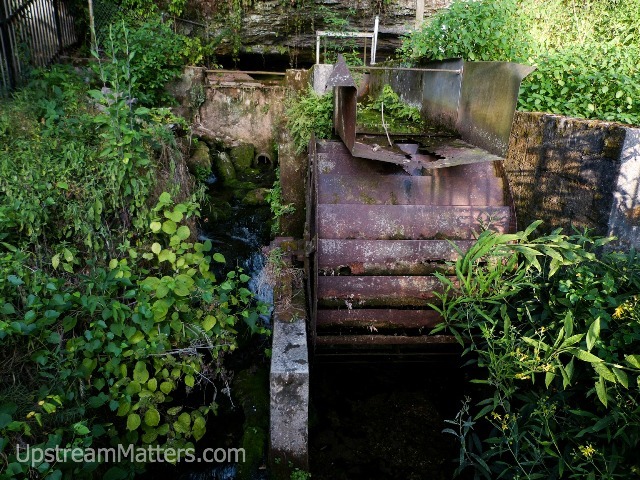 In years past, it housed a fish hatchery and the springs were the source of drinking water for the area. The cool springs provided a retreat from the summer heat. It was place where families spent the day together as families. Teaching their kids to fish and swim, spreading out a picnic supper, taking a stroll, and catching up with the neighbors. 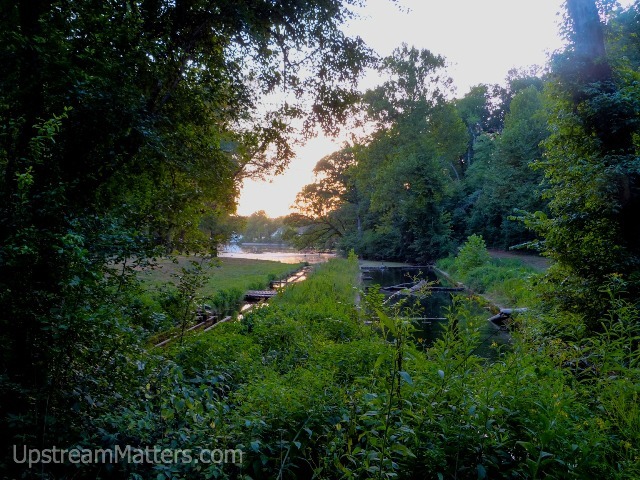 The Illinois River Watershed Partnership and the Arkansas Game and Fish Commission have a master plan to restore the lake to be a place where families and nature lovers can gather once again. To learn about with the wildlife, land and waters of our watershed. To fish and to canoe. To explore and to relax. The transformation of the lake will begin over the coming months. Trails and nature walks will educate explorers about the natural wildlife and vegetation. Award winning architects will be constructing outdoor learning facilities, trails, a fishing boardwalk and pier. Removal of the trout raceways to rehabilitate and restore that portion of the lake and the stream feeding the lake to a more natural state will utilize Low Impact Development (LID) methods and serve as a regional watershed education and demonstration project. Experiential activities will engage participants in techniques to preserve, protect and restore this beautiful watershed in which we live. In a few weeks, the restoration process will begin with the draining of the lake. And in upcoming months, you’ll see the lake of the future unfolding. While we begin to see the vision for the lake take shape, we will also take a look at its rich history, though a series of “Throwback Thursdays” posts. But just for now — in these few images — we can enjoy the lake as we know it today and appreciate the hidden beauty amongst us. Click here to view the post in its original setting, and to browse the many interesting posts that the IRWP has produced!